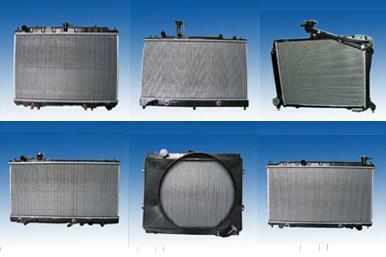 Alpine Auto Parts Co.,Ltd is a company specialized in export automobile refitting parts. Our supply chain: Performance Parts, Intake Air Systems, Exhaust Systems, Cooling System, Suspension Parts, Steering Systems and Tires, Brake Systems, Fuel System, Body System and so on. We are located in Shanghai which is one of the biggest bases of auto parts in China,we have closest relashionship with hundreds of Chinese auto parts factories.We have rich experience in manufacturing and exporting the products of auto filter,auto water pump,turbocharger,shock absorber,ignition coil,auto radiator,air intercooler,oil cooler,auto lamp,auto wheel,auto tyre. Since 2000, our company start export business of automobile refitting parts. We have comprehensive supply network and many long-term cooperation projects in China. With efficient R&D, flexible prodution, high qualtity, competitive price, dynamic logistic distribution, we get good reputation among customers worldwide. During the past ten years of hard working, our products have been export to more than 40 countries around the world including markets in North America, Europe, Oceania, South America, Africa, the Middle East and South Asia etc. Pls visit web: alpine-autoparts , send mail sally#alpine-autoparts.